Wonderful First night was not good due to bad location of room and noise. Spoke with manager next day who was fantastic and understood our needs. We were upgraded to a magnificent appt without any additional cost. Our stay was quiet relaxing and location was great. Highly recommend this hotel. Excellent value with lovely attention to details. Loved the offer of fresh milk on arrival. Staff were helpful and courteous. Breakfast was excellent with a great cooked menu and very reasonable. If you are looking for something simple but with a little bit extra this is a great little motel. The traffic noise was a pit of problem at night. When you are paying a lot more for a ocean room! Clean and comfortable room. Nice spa bath 2 people could stretch out in and relax. No dining room Sunday night though. Pub down the corner had good food though. We would stay again. 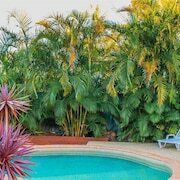 A quick look through #Port Macquarie will give you major holiday goals — and with so many awesome hotels available on lastminute.com.au, it won't be long till you can start ticking them off! 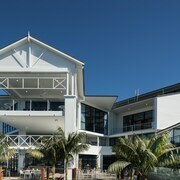 You'll discover 50 hotels within a 5-kilometre radius of Port Macquarie's centre on lastminute.com.au. Choice + convenience? It's a win-win. 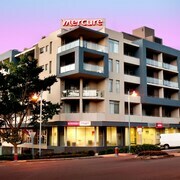 Take in the city vibes from two nearby hotels, the Beachside Holiday Apartments and the Rydges Port Macquarie. Neither of those suit? Don't stress. 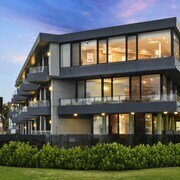 The Flynns on Surf Beach Villas and the ibis Styles Port Macquarie are also worth a squiz. 3 kilometres from the downtown area, the locality of Flynns Beach has 4 places to hit the hay. The Beach Blue Resort and the Flynns Beach Resort are worth trying out. History lovers will adore visiting Roto House. Jump on a tour, wander through these historic rooms and learn about the local history. Location, location, location! 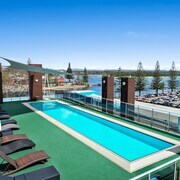 Book a stay at the Sails Resort Port Macquarie - By Rydges and Mantra Quayside and you'll be pretty close to it. Listen for the calls of local birds as you walk around Macquarie Nature Reserve. 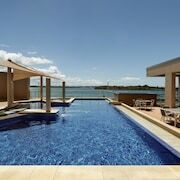 Mercure Centro Port Macquarie and Shelly Beach Resort are a couple of good places to crash out if you don't fancy staying far away. Looking for more options? 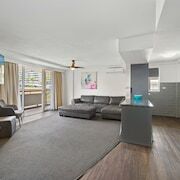 The Macquarie Waters Boutique Apartment Hotel is situated 4 kilometres away from the downtown area, and the Aston Hill Motor Lodge is 3 kilometres away. The El Paso Motor Inn, 4 kilometres away, and the Macquarie Barracks Motor Inn, 4 kilometres away, are some alternate choices. Always on the lookout for your next big adventure? You'll be happy to know that the wider North Coast region has some incredible things to sink your teeth into as well. Art galleries, craft workshops and lighthouses are a few sights that should be on your hit list. If the outdoors are more your thing, make a date with Mother Nature and check out the area's beaches and coastal plains. Fun-loving travellers can also have a crack at popular regional pastimes like hiking. Diamonds or diamantés? However you like to roll, you'll sure to love a trip to Burnt Bridge, 40 kilometres away. With the Kempsey Museum and the Kempsey Golf Club to explore, you're not gonna be bored. Some of our recommended Burnt Bridge hotels include the Park Drive Motel and Netherby House B&B and Cafe. 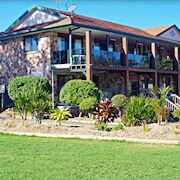 45 kilometres to the north of Port Macquarie you'll also find Kempsey, home to the Moon River Motor Inn and Colonial Court Motor Inn. Whether you're just passing through or staying in Kempsey, set aside some time to visit the Slim Dusty Heritage Centre and Wigay Aboriginal Culture Park. Getting ready to touchdown? It won't be too long before you can ditch your cramped aeroplane seat for a plush bed! 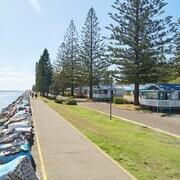 The T's Tennis Resort and the Golden Chain Port O'call Motel are not too far from Port Macquarie Airport, which is just 4 kilometres from Port Macquarie's centre.